Curious to learn how to get involved? We have just received the printed version of the project leaflet and we are ready for the first Capacity Building Session in Venice, more here! 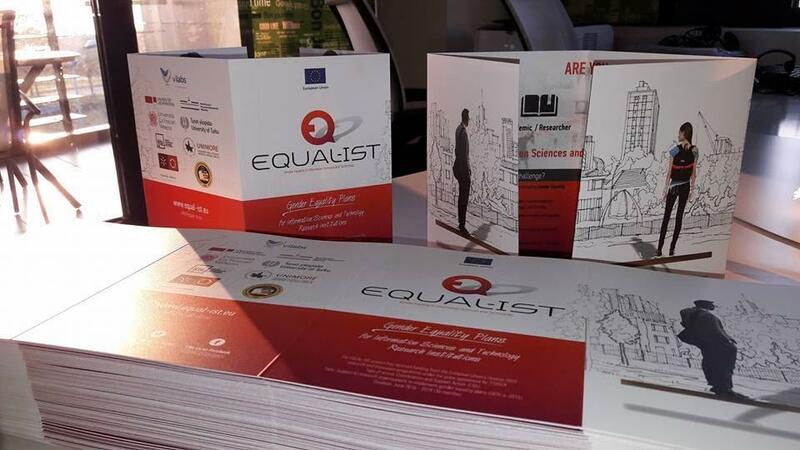 You can also find the downloadable, online version of the EQUAL-IST leaflet here. You will get informed about the challenge in the ICT sector, learn how the project tackles this challenge and any opportunities to participate or receive guidance to replicate the co-designed Gender Equality Plans, we are preparing!